...and the other is hosted by Amy, at Atta Girl Says. 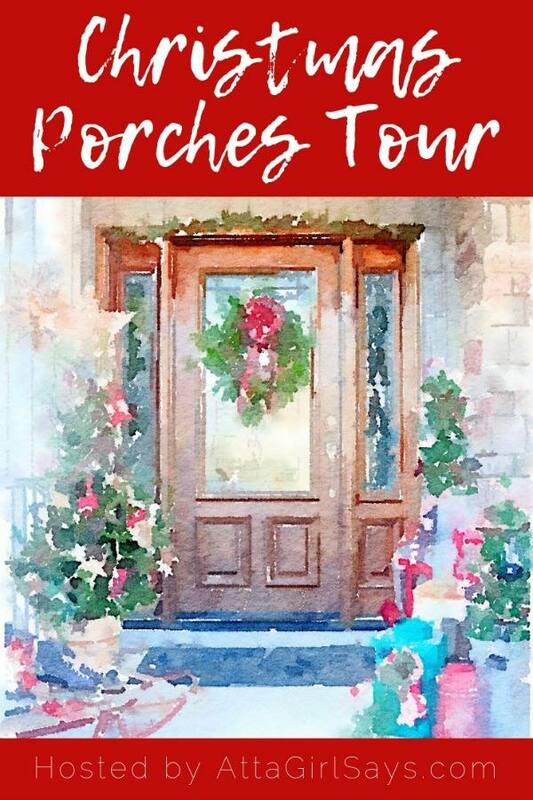 In the previous tours I've participated in with both of these talented bloggers, I've been blown away by the creativity--so drop by to get your Christmas spirit on! Now--onto this week's finds! 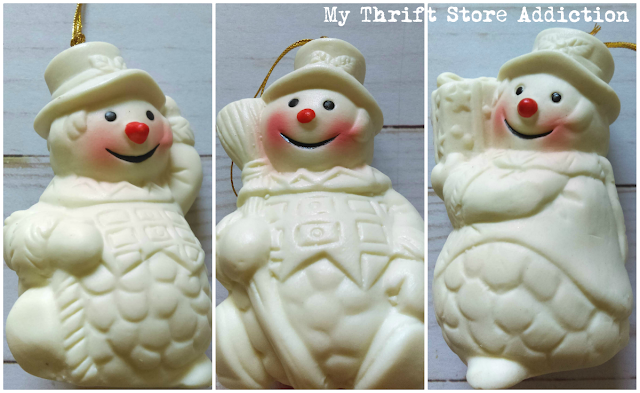 Here's a closer peek at those darling vintage snowman ornaments. 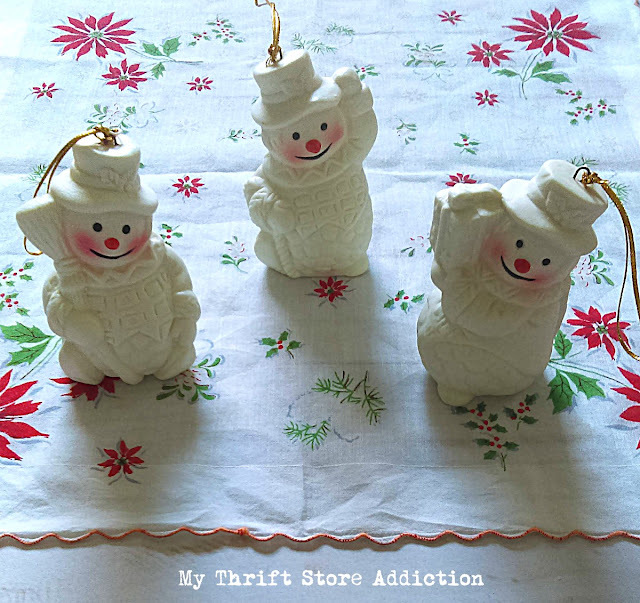 They are bone china and are bell ornaments. AVAILABLE HERE! 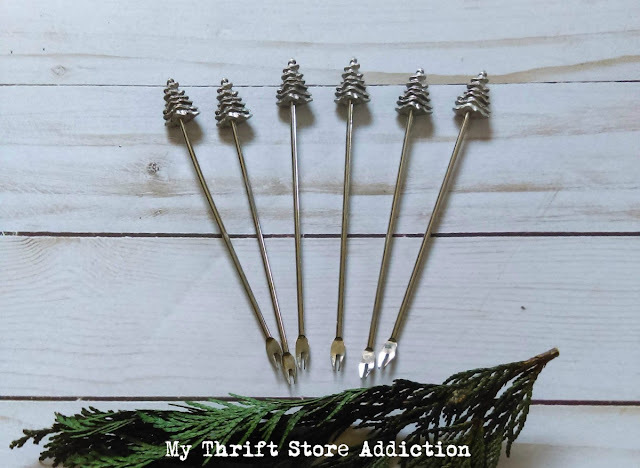 I'm quite smitten with these tiny Christmas tree appetizer forks! AVAILABLE HERE! 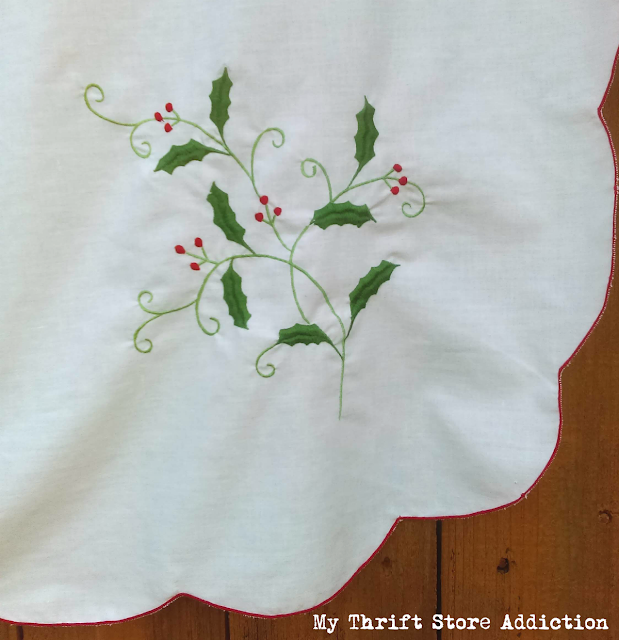 This large handmade Christmas tablecloth with 12 matching napkins was surely a labor of love. 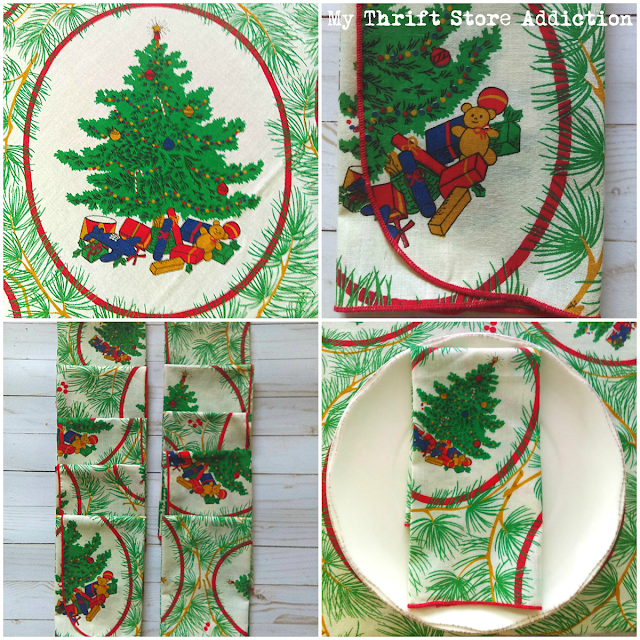 It features a vibrant Christmas tree print and is AVAILABLE HERE! 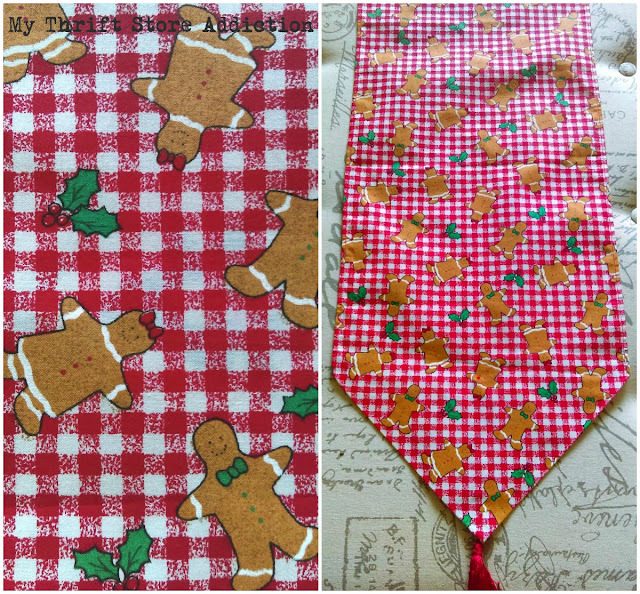 Another handmade treasure--how sweet is this red and white checked gingerbread boy and girl table runner? It's nice and long, at 69" and the tassels on the end button on and off for easy washing or if you just prefer it sans tassels. AVAILABLE HERE! 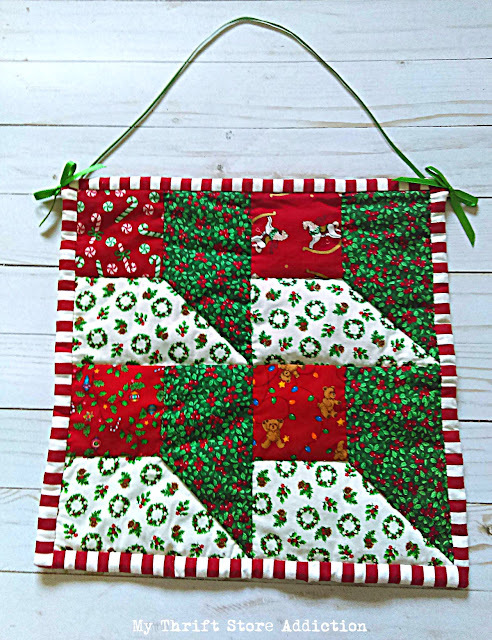 My quilter friends will appreciate this charming handmade wall hanging. It's 12" x 12". AVAILABLE HERE! 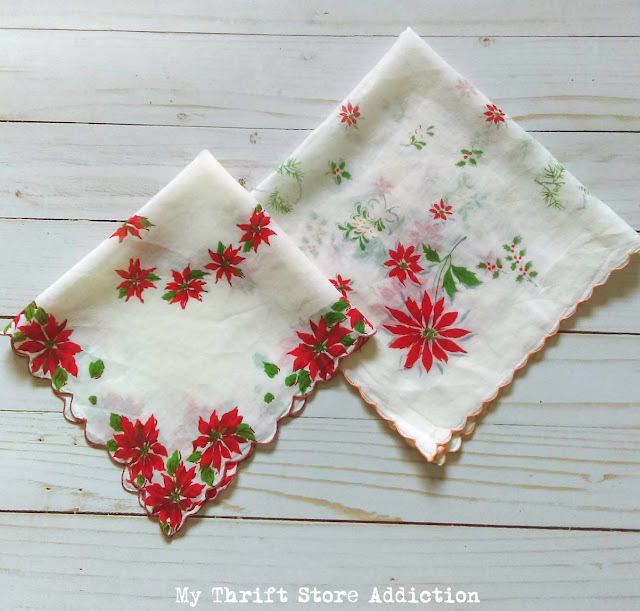 Y'all know I adore vintage hankies. Here's a pretty pair featuring poinsettias! AVAILABLE HERE! There are times when photos just don't do justice like this this gorgeous embroidered holly and berry tablecloth. It's quite large, 64" x 95" and pristine! AVAILABLE HERE! Last, another festive tablecloth. The center features the wreathed frame on the left, while the fruit tree design repeats on the skirt. AVAILABLE HERE! Your finds are fantastic. I have several snowman-lover friends; I had to smile. 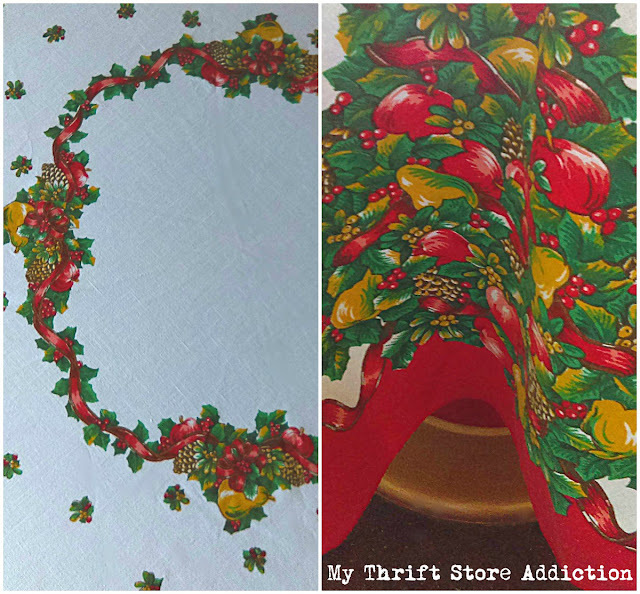 I have been making reversible table runners similar to yours; I use a Thanksgiving or Valentine's print for the second side so it is usuable for another holiday. I make the same embroidery floss tassels using 1 skein and brush them until the floss is separated! 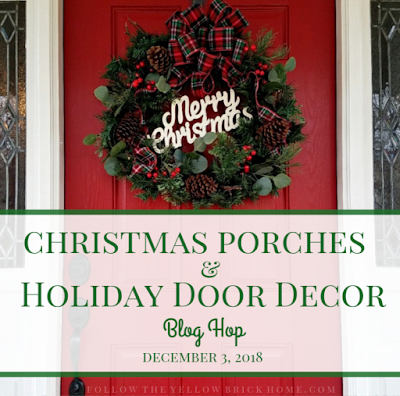 I have very little for decorations up yet--but I've made a dent in wrapping and crafting! pretty, pretty---I turned down two beautiful Xmas 50's tablecloths---because who needs more...now I'm kicking myself. LOL GREAT FINDS! Great finds indeed! 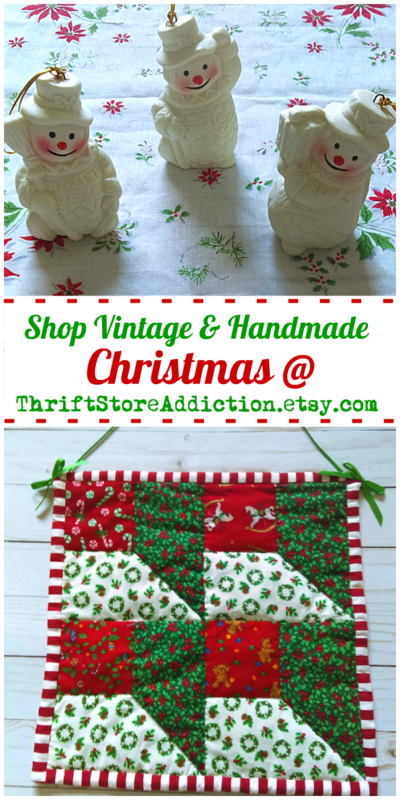 I love the snowmen and the Christmas hankies. Cecilia, those are all gorgeous holiday textiles! I have a tablecloth very much like the embroidered holly & berry except it's for a smaller, round table (using it this year after discovering it deep in a drawer!). I love tablecloths....old or new....cloth or vinyl. I like to put a vinyl one on when we are going to play cards or board games. Enjoy your blogging.